Super Smash Bros Brawl will have support for all controllers - GameSpotting! Posted on June 8, 2007 by MASA. 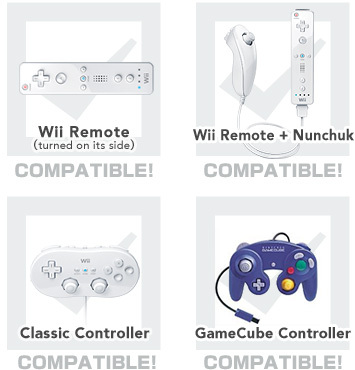 From an update released on the Super Smash Bros website, we learn that the newest version of the popular beat them up game will have support for the classic controller, GCN controller, Wii Mote on its side and the Wii+Nunchuck controllers. Oh, and the GameCube Controller will rumble! And the WiiMote might use the motion sensors (which could mean something really good). For more information, check out its website here.